Innovae creates AR-based solutions to combine the real world with the virtual world, thus enriching the visual experience and enhancing the power to communicate and its efficacy. AR systems are based on a process known as tracking, which involves recognising an element of the environment and using a camera to identify it in order to position and display additional information over the reality we see. This information is presented by a rendering engine which can generate high quality 3D scenes in real time. 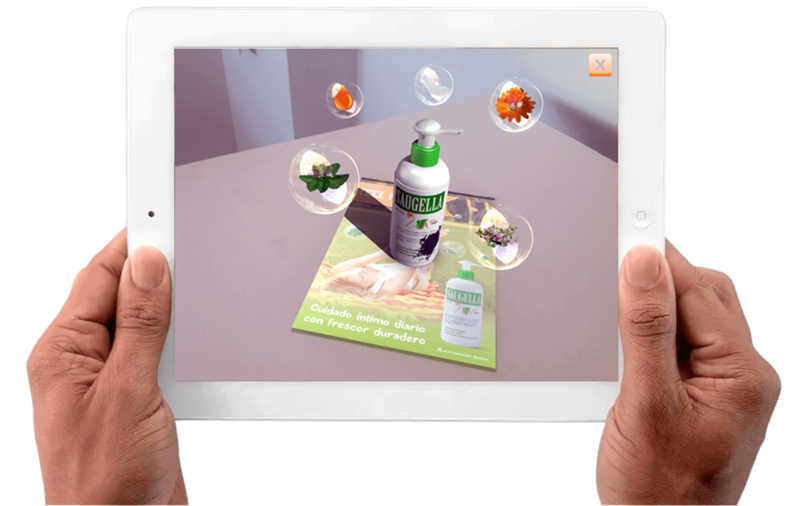 Augmented reality can be used to display specific information linked to the person’s context and location by means of a smart or wearable device. At Innovae we have dedicated over 10 years to creating solutions and experiences involving augmented reality applied to marketing, communication, healthcare, real estate and industry. We use various tracking systems to ensure our solutions adapt to the specific needs of each project (markers, images, faces, silhouettes, objects, SLAM). Our AR technology works in all application contexts, which means not only apps but also specific applications for fairs and events, on-stage presentations or web sites.